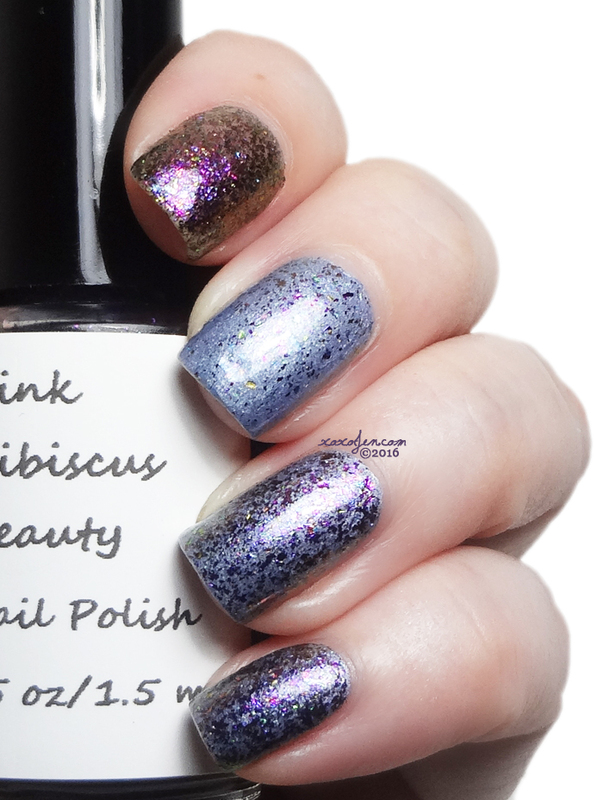 I had the opportunity to review the Snow Flakies collection from Pink Hibiscus Beauty and it's such a fun collection. Jes, the owner, grew up in the northeast where they had heaps of snow. To make the winter more fun, she has created the Snow Flakies polish collection where every single polish has flakies in it! 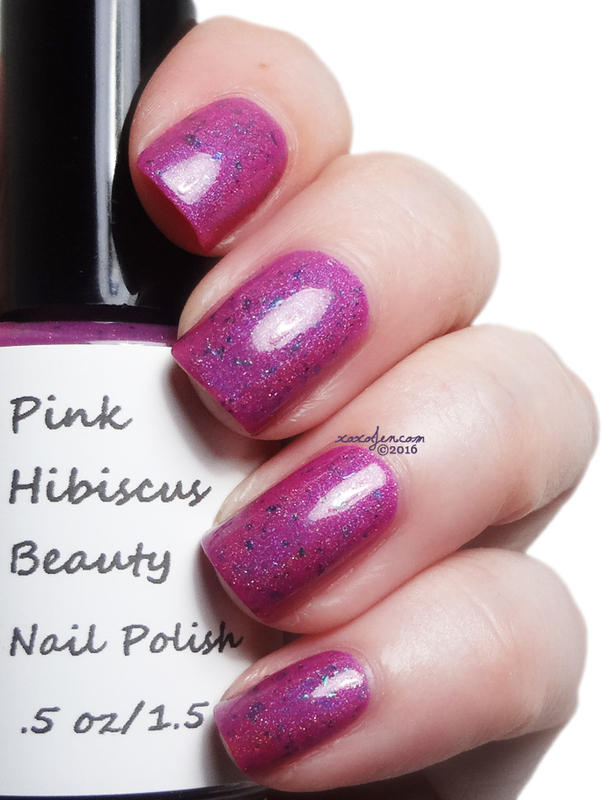 These are all available at the Pink Hibiscus Beauty Storenvy. 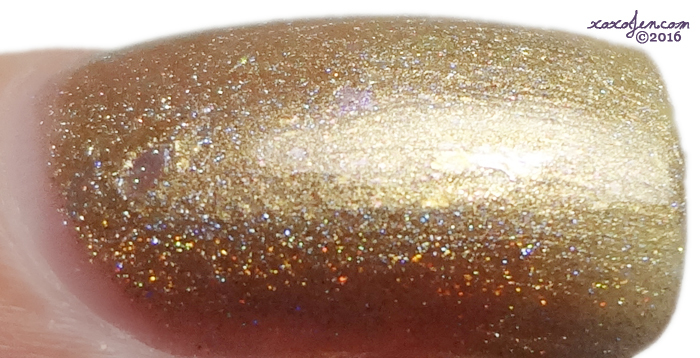 24 Karat Snow- A gold metallic with rainbow illusion flakies and a scattered holographic finish. 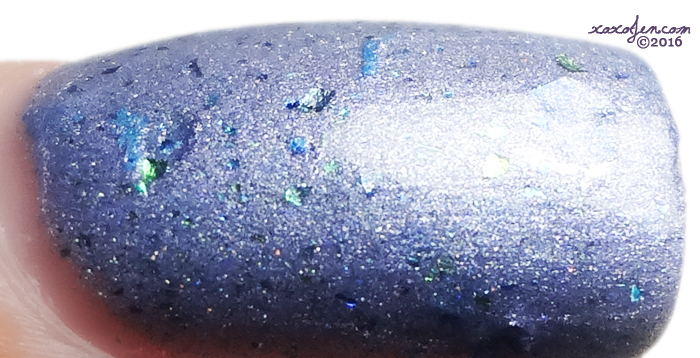 Frozen Sky- A light blue slightly matte shimmer with blue holographic flakies and sapphire blue/green/cyan UCC flakies, with a scattered holographic finish. 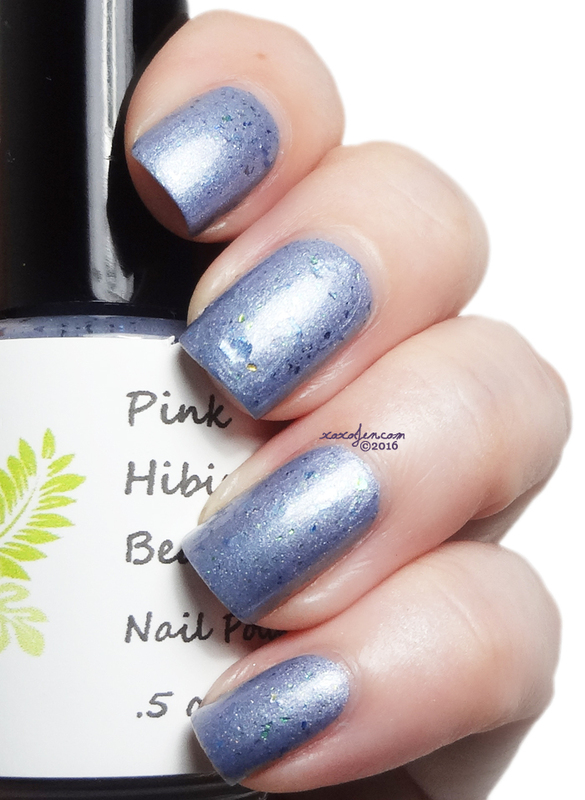 I wore two coats with topcoat for each polish except for the topper (noted near photo). The formula was good with no issues to report. With each collection, Jes has also sent a bottle of her cuticle oil to me so I've been using it for a while now and I can say I really enjoy using it! They smell delicious and absorb super fast, which is important to me since I need to shoot fairly quick after the swatch is done. 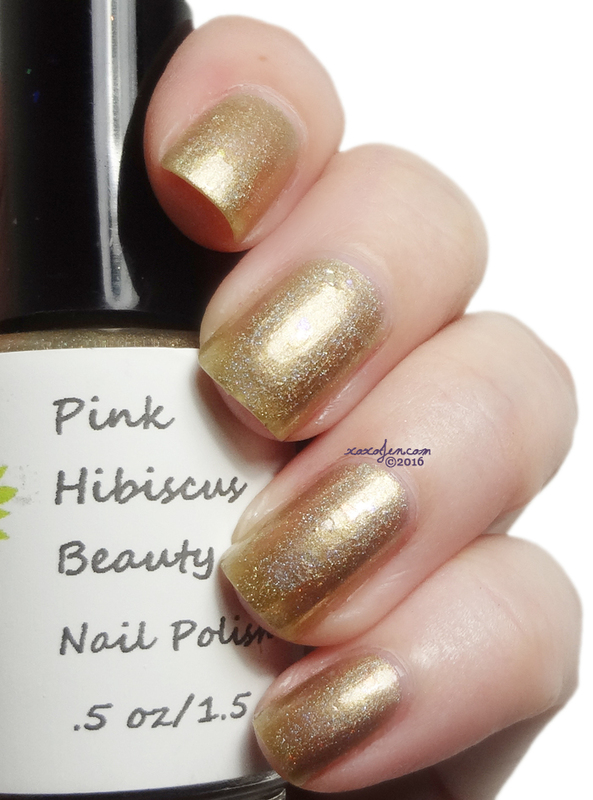 If you haven't tried her cuticle oil yet, give it a shot! Good choice! Alien is my pick of the bunch too. These are gorgeous! Alien and 24 Karat Snow really caught my eye! This is a new brand to me, I love the flakie! I've not heard of this brand. What a lovely collection! I love Rainbow Eclipse! Oh yes, that one is super pretty! Beautiful swatches! I love flakes! It's my favourite, together with Rainbow Eclipse! Oh cool! Good fave picks, I like them too! 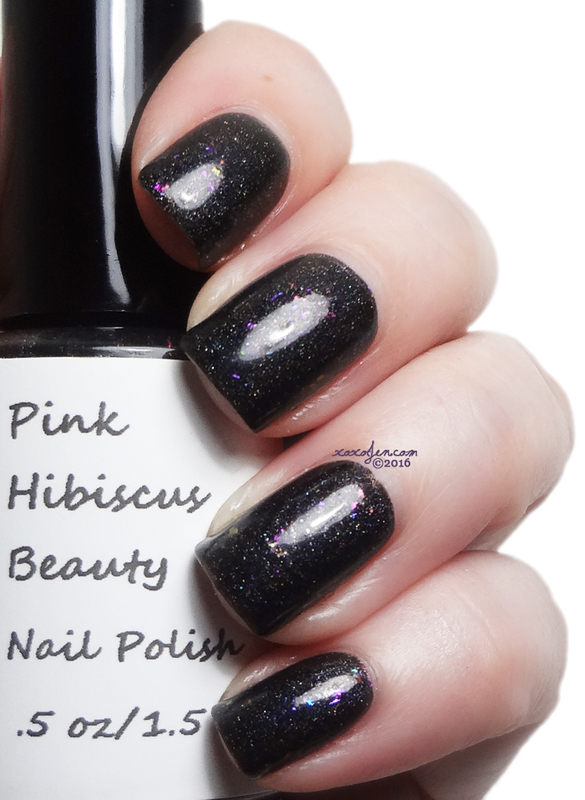 Beautiful collection and your swatches are to die for! !